I'm probably the world's most vocal advocate of comfortable shoes—but I would never, ever mean the kind that you're thinking of. Flats are pretty much off the menu 24/7 (at 5'1", it's a given), and I loathe scrimping on style, so the quest is eternally on for me to find fashionable heels that cause zero pain—the kind that I can work in, and walk in, for hours on end while still ticking all of the season's boxes. It's not an easy task, but someone has to do it. I won't bore you with all of my foot-related history (suffice to say, two fractures are quite enough), but over the years I've developed a kind of sensible shoe radar because teetering is not chic. I can spot a comfortable pair of heels from a mile off, and I've learnt to rely on certain brands and silhouettes or finishes to help me deal with my sartorial woes. So, as the wedding and party season is now in full swing (and today is #TuesdayShoesday), I thought it a good time to impart some of my wisdom. Below are all shoes I either own or have bought in a very similar style. Scroll down to see and shop the high heels I rate the most for comfort and style… And prepare to dance the night away. Style Notes: The reason Malone Souliers heels are so comfortable? Well, this shoe label started off as a bespoke line only, using the highest standards of craftsmanship—so they're lasts (that's the shape of the sole) are well-honed, and the leathers and techniques used are second-to-none. Style Notes: Topshop is currently producing really wonderful heels for those on a budget. These are leather lined, which already sets them off to a comfortable start, but it's also the softness of this gold hide that will make them kindly mould to your feet. Also, a block heel goes a long way on a dance floor. Style Notes: Miu Miu and Prada's shoes are always manufactured to the highest quality, but I've often noticed that the non-runway styles (i.e. the more basic silhouettes like these) are incredibly comfortable. I've got one basic pair of black Miu Miu sandals, and they've lasted through a thousand and one events over the past five years or so. 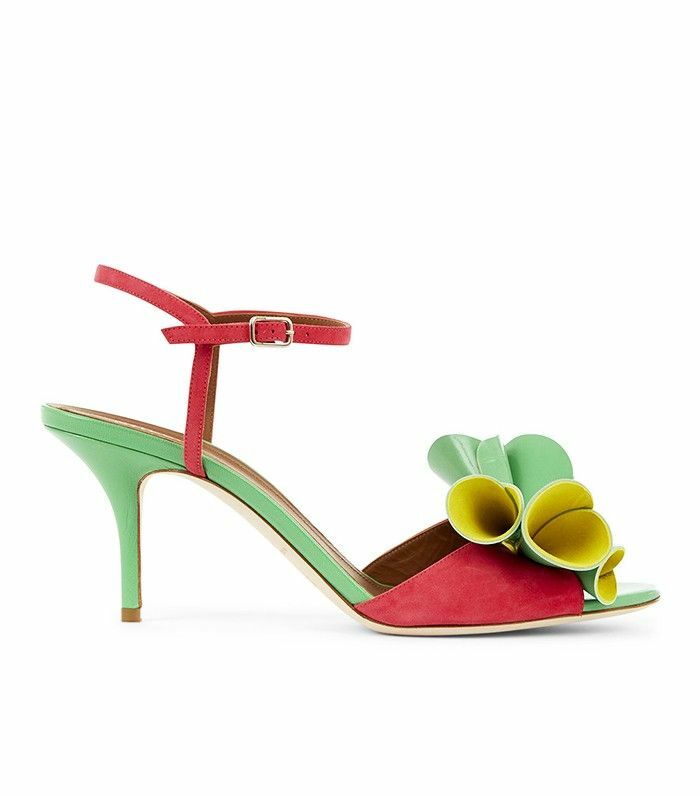 Style Notes: Loeffler Randall is really adept at doing heels that look high but don't make you teeter or put too much pressure on the balls of your feet. Combine that with suede (always friendly in terms of blisters and bunions! ), and you've got a winning combination here. Style Notes: I've owned a pair of these Dune two-straps before, and they're very well balanced despite being quite high and a stiletto. They come in so many different colours and quite a few are on sale right now—so why wait? If you're looking for more shoes to complete your summer line-up, check out our edit of the best sandals for every trend.